10 Gorgeous Towns & Cities in Croatia You Need to See — Discoveries Of. Croatia has exploded onto everyone’s radars as one of Europe’s coolest travel destinations. Here are 10 gorgeous towns and cities in Croatia you shouldn’t miss on your next trip. Croatia is a gorgeous country, filled with a rich history and boasting incredible coastline, beautiful architecture and a unique culture. But while Split and Dubrovnik have firmly established themselves as travel hotspots, there’s more to this country than it’s two superstars. 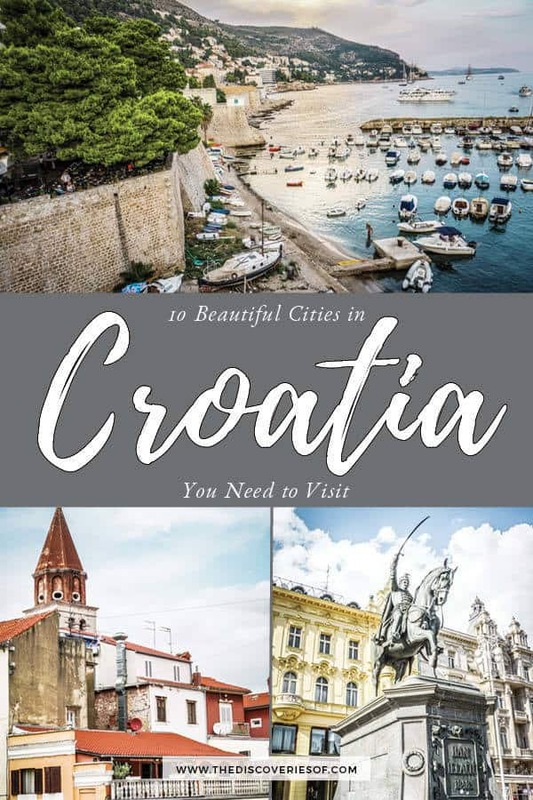 Eight travel bloggers choose their pick of the best cities to visit in Croatia – inspiration for your next trip. The capital city of Croatia, Zagreb took me by surprise. This old-world city, complete with a striking cathedral, the impressive St Mark’s Church (below) wide tree-lined boulevards and palatial buildings has one foot in the past and the other firmly in the future. For all the history and tradition, there’s an equal dose of contemporary cool – small art galleries, independent artisans, chic wine bars – there’s even a museum dedicated to Broken Relationships. While you can see a chunk of Zagreb in one day – I’d recommend booking a long weekend and exploring the city at your leisure. Be sure to head to Bistro Vjestica for some traditional Croatian food – it’s my favourite restaurant in town. Julianna – The Discoveries Of. I didn’t expect to like Dubrovnik, but much to my surprise, I loved my stay there! Yes, it can be super crowded and touristy, and if you want to avoid sharing the old town with hoards of day trippers, avoid going during peak season. We visited in early May when there are fewer docked cruise ships. We also checked the cruise schedule and timed it so that the day we focused on exploring the old town was the day there would be the fewest day-tripping cruisers. The weather at that time of year was perfect. Sunny and warm enough to swim but not stifling hot. Where to stay? I recommend a charming apartment in the old town (we found ours on AirBnB) so you can easily walk everywhere. 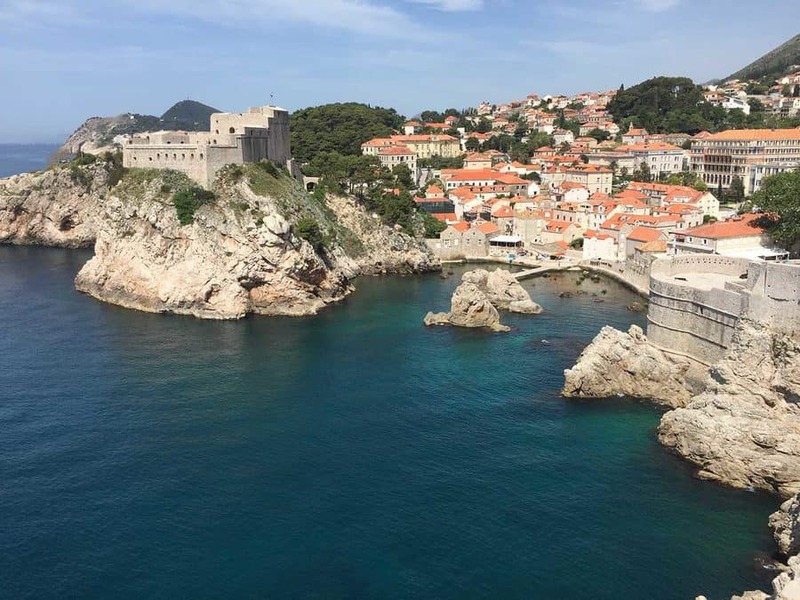 There are so many things to do in Dubrovnik: walk the city walls (amazing views), take a sightseeing cruise, visit nearby Lokrum island to hike, swim and hang out with the peacocks, take the cable car up the mountain (more amazing views), take a Game of Thrones tour, get a drink at a cliff-side bar and watch the sun set…just to name a few. If you have access to a car (which you can easily park in a large city garage a 15-minute walk from the old town) you can easily day trip to Montenegro from Dubrovnik and visit several cute towns and villages along the way. Another tip: many of the restaurants in the center of the old town are hit or miss, not to mention overpriced. Our AirBnB host recommended Lady PiPi (up the stairs, near the town wall) and we loved it! Split is one of the most famous cities in Croatia. It’s situated in the Dalmatian region and has become a popular tourist destination in recent years. The city as it’s known today was founded already back in the year 200 A.D when Diocletianus, the roman emperor built his palace there. The Roman ruins of Diocletian’s Palace are still standing, and it’s the major tourist attraction in Split. It’s not a regular palace though, but instead the palace stretches the whole area of the Old town. 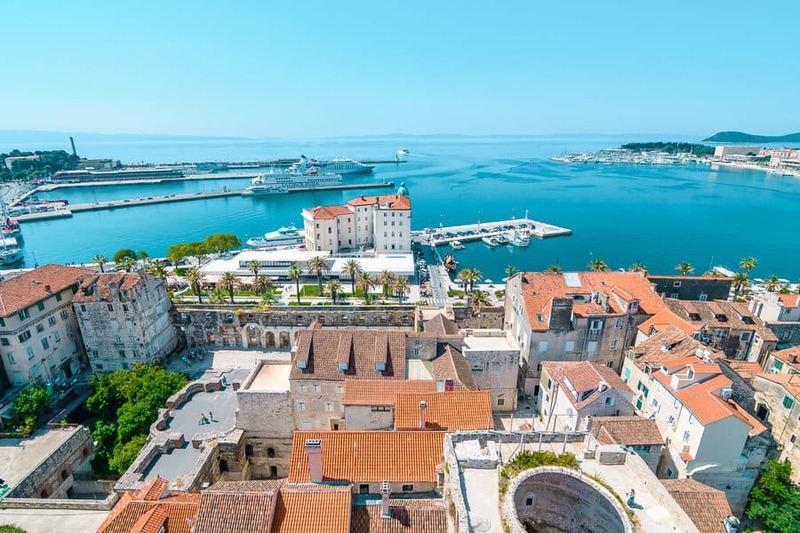 From Split, one could also explore the islands of Hvar and Brac on Day Trips, and one could also visit nearby beaches or the ancient city of Trogir. In other words, Split is a great base for tourists. Another thing one shouldn’t miss in Split is the Riva, which is the boulevard along the sea and harbor next to the old town. Here you can enjoy some coffee, cocktails, snacks and even have dinner with a nice sea view. If you want to go shopping, there is a shopping mall called Mall of Split where you will find several international stores. In terms of where to stay in the city, I suggest staying near the old town. There are lots of hostels, hotels and even Airbnb apartments that you can rent for cheap outside the palace walls. Of course, staying inside the palace walls is a special experience, and there are some hotels located inside the palace. However, they’re quite pricey and you get a better bang for your back outside the walls. I really like Split because of its great location and interesting history. The old stone streets are well-preserved and it feels like you travel back in time. Located on the pristine Adriatic coast, Zadar is my favourite city in Croatia. A walk inside Zadar’s old town brings in the nostalgia and takes us back in time. Together with its centuries old monuments, complemented by white washed walkways, Zadar steals your heart for sure. 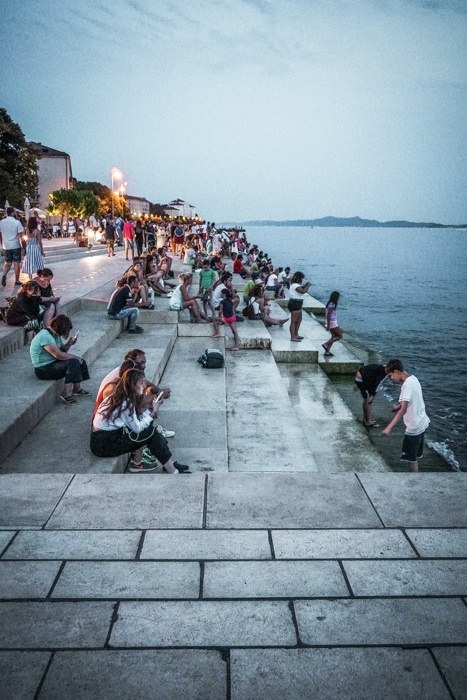 At the edge of the old town is Zadar’s sea front – a scenic haven. Stretching for miles, until the eyes the can see, the calm waters of Adriatic shine like diamonds in the sea. A giant sea organ made by the architect Nikola Bašić, decorates the waterfront. It’s almost invisible until you hear mysterious sounds bouncing from the sea. A curiosity leads us to find the source and leaves us amazed by this man made creation. Located next to the Sea organ is a large sundial which has multiple solar charging cells that collect the solar energy during the day. And when the night falls, the sun dial turns into a disco floor from which colourful lights emanate. Zadar is also a perfect base for a day trip to Plitvice lakes National Park, which is one of the best places to visit in Croatia. 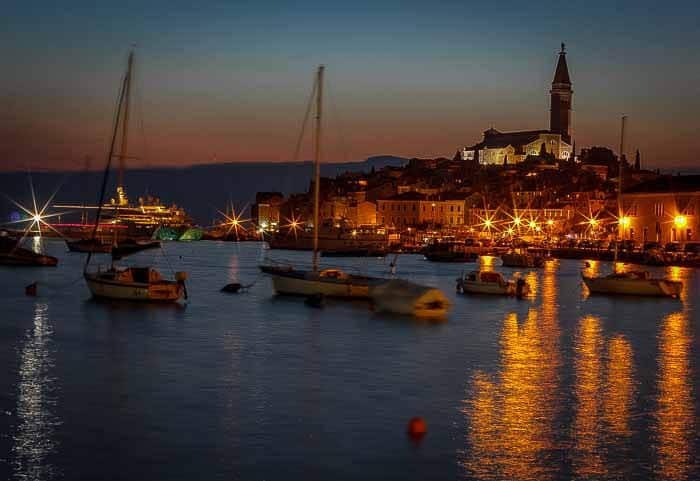 One of the most popular and developed tourist destinations in the Istrian peninsula, Rovinj is one of the best cities in Croatia. 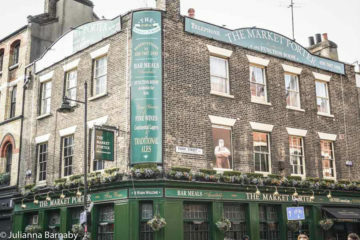 It caters to fans of outdoor activities, foodies, and those who simply enjoy walking among old cobbled roads. The city’s craggy coastline means hours of fun jumping off rocks and cooling down in the warm Adriatic Sea. It’s perfect for those who prefer their beach vacations with a little less lounging and a lot more active play. Venture outside of the city on one of the many bicycle routes. Bring along an empty two liter bottle and stop inside for a fill if you see a sign selling wine at a private home. Several shops in town offer bike rentals. Walk, run, or rock climb in Punta Corrente Forest Park, just a 20 minute walk from the city center. Formerly a part of Italy, the Istrian peninsula retains its Italian roots in food and in culture. Many native Istrians speak Italian. This also means that you’ll find pizza and gelato that rival that of Italy. 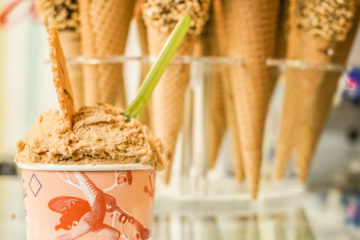 Gelateria Italia serves the richest dark chocolate gelato you’ll ever try. 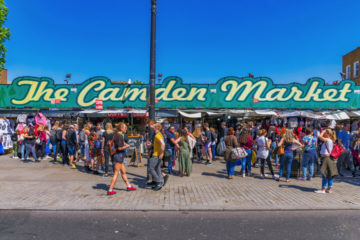 Find local fruits and vegetables, as well as other locally-grown culinary products like truffle oil at the daily Green Market, located just off of Marshall Tito Square. Open daily 7 a,m. to 1 p.m. The old, winding streets of the city make for lovely walking excursions, with plenty of churches and castles to visit if desired. Stop in the many shops, restaurants, and art galleries line the cobblestoned roads.The best time to walk the city (and avoid the summer heat) is after the sun has set. Don’t miss the view of Old Town from the Port of Rovinj. Situated only 30 kms from Split, Trogir is a UNESCO World Heritage Site and one of the best preserved medieval sites in Europe – it’s one of the best cities to visit in Croatia thanks to its wealth of history. An easy day trip from Split it should be included in any Croatian itinerary. Trogir lies on a small island and is connected to the mainland by bridges. The impressive walls that surround the town of Trogir were built in the 15th century. 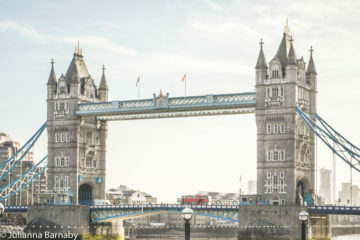 Enter the town and stroll around its squares and get lost within its narrow alleyways admiring the Renaissance, Romanesque and baroque churches, palaces and towers. 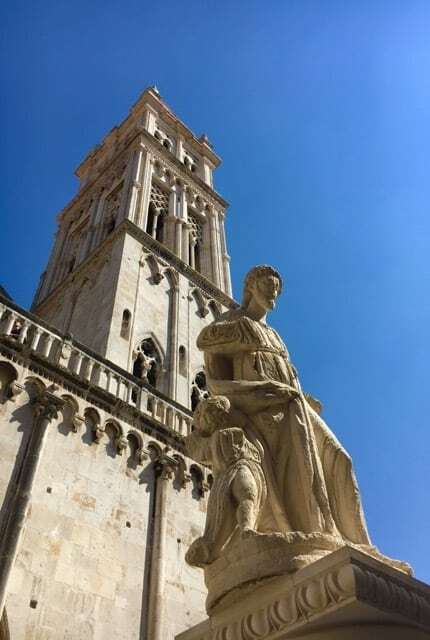 Must-sees in Trogir include the Cathedral of St Lawrence. Built in the 13th century don’t pass by its beautiful entrance – the Portal of Radovan. Climb the steps to the bell tower and enjoy spectacular views over the rooftops of Trogir. Exit the town onto the seaside promenade which is lined with bars and cafes. It is a wonderful place to sit with a cold drink or ice cream and watch the world go by. Travel to Trogir by bus from Split or take one of the many tours on offer. I love Šibenik! It’s less visited than e.g. Split, but no less charming. The whole Old Town area is beautifully preserved. There’s a lot that’s unique about Šibenik – e.g. 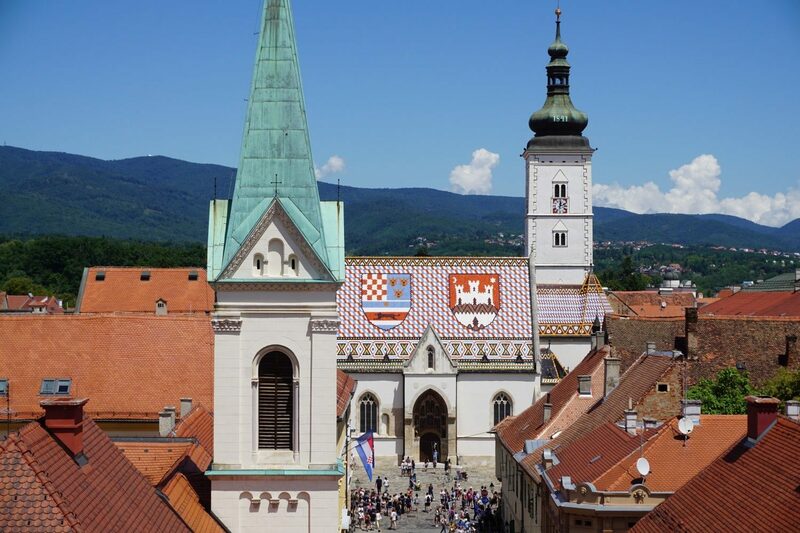 did you know it was the first city in Croatia actually founded by Croats? Others were established by Romans or Greeks! The no. 1 landmark and inarguably the most striking edifice in Šibenik is the St. James Cathedral. Built in the 15th century, the Cathedral features a lot of genius engineering details, such as interlocking stone slabs. Thus no cement was used to hold the slabs together, not even in the structure of the Dome! Apart from the Cathedral and many interesting churches, there’s 5 fortresses! You can easily visit 3 of them, with St. Michael’s Fortress being the most popular one since it’s the oldest and within the shortest distance from the city center. The fortress offers stunning views of the Bay below and the St. James Cathedral sticking out from the beautiful dark blue backdrop. I loved Šibenik not only for the city itself, but also for the variety of things to do in the surrounding area – from biking to archeological sites and checking out nearby islands on a boat, we also got to visit the incredible Kornati National Park. 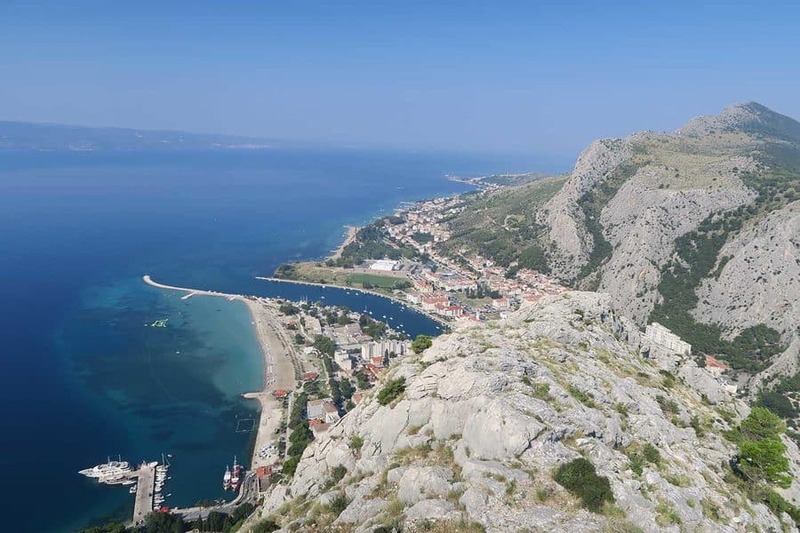 Omis is a great town for adventure lovers and one of my favourite cities in Croatia. There is so much you can do, that you can easily spend a week there and it can also be a great base to visit some of the nearby cities and islands. Omis has a nice beach. The water temperature here is cooler than other parts of Croatia, as the Cetina river flows into the sea here, cooling the water down. It is still nice to go for a swim on hot summer days and it can feel quite refreshing! There is even an inflatable sea playground that you can use for an extra charge. If you are looking for a free activity apart from visiting the beach, you can also hike up to Starigrad Fortress, which is a 4 km hike, that can take 2-3 hours. The effort is well worth it for the fantastic views you get from the top. Adventure seekers will find rafting a cool experience. You will even have a chance to explore a hidden cave behind a waterfall on your journey. Zip lining is another exciting activity in the area. There are 8 zip wires you can conquer. They all offer amazing views to the Cetina river under you. So as you can see there is a lot to do in Omis! 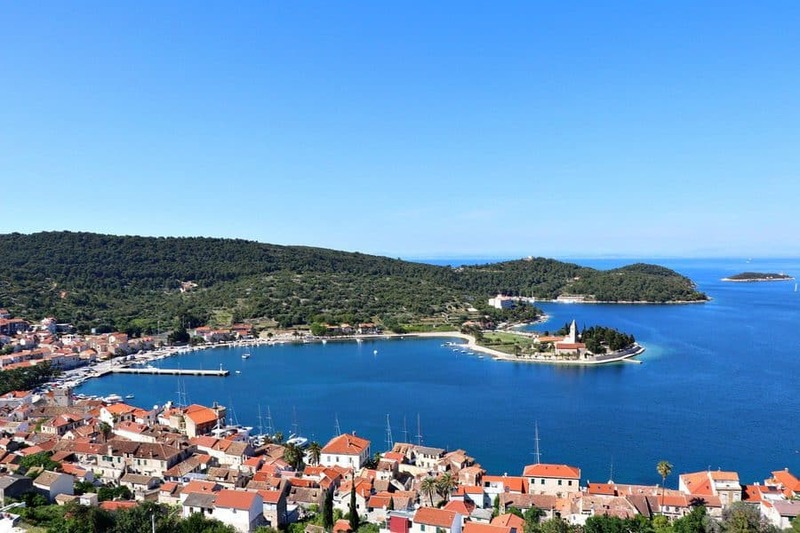 If you’re looking for a peaceful getaway while in Croatia, pay a visit to Vis. Vis is a small island off the Dalmatian coast easily accessible by a ferry ride from the port of Split. In comparison to the other club-minded, party islands, Vis captures its visitors with beauty in simplicity. The island is quiet but not short on all the things loveable about Croatia including crystal clear blue waters, charming old towns, and sunsets that will make you melt. Days on Vis are best spent renting a moped and cruising around the island to some of the best-hidden beaches that Croatia has to offer. Of notable interest is Stiniva Beach. Stiniva Beach is ranked as one of the most beautiful beaches in the world and it deserves every bit of this title. A small beach yes, but it’s tucked away location and transparent waters make this a dream getaway for any traveler. The beach itself is accessible only by either boat or an extensive hike down to the base (for the record, it’s worth the trip). Staying right in Vis’s Old Town will give you the best options for excursions, renting boats and mopeds, and choosing the best spot for dinner and sunset. Air B&Bs are plentiful in the area and provide a nice balance of traditional Croatian homes with the added bonus of your own personal space. It’s not one of the biggest Croatian towns, but it’s well worth adding to your itinerary. Hopping off the ferry from Korcula, it was impossible not to be wowed by the sight of Hvar Town rising in a cluster of red roofs from the clear blue sea up the hills that surround the bay. While Hvar Town is reputed as being a party playground for the rich and famous, it’s so much more. 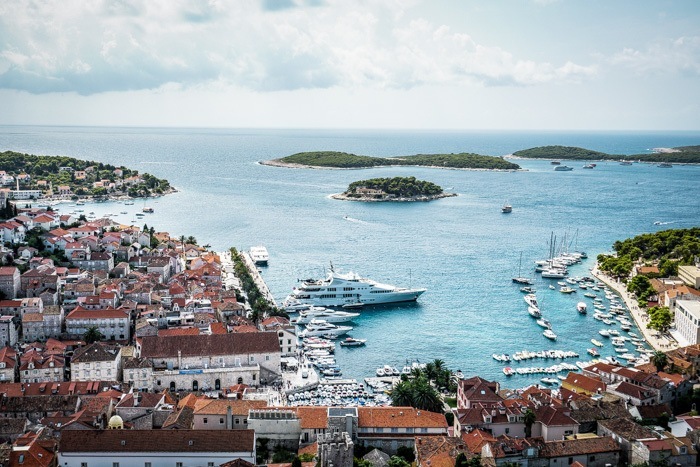 White marble streets, Gothic architecture, small restaurants tucked down small alleys, not to mention the beaches – Hvar Town sets out to charm. The main square, St Stephen’s Square is one of the biggest in Dalmatia and one of the oldest too. Seat yourself in one of the numerous sun-drenched cafes lining the square and order a coffee and gelato and watch as people bustle by. Visit the Cathedral, then slog your way up to the Fortica at the top of town for incredible views over Hvar Town and out to sea. 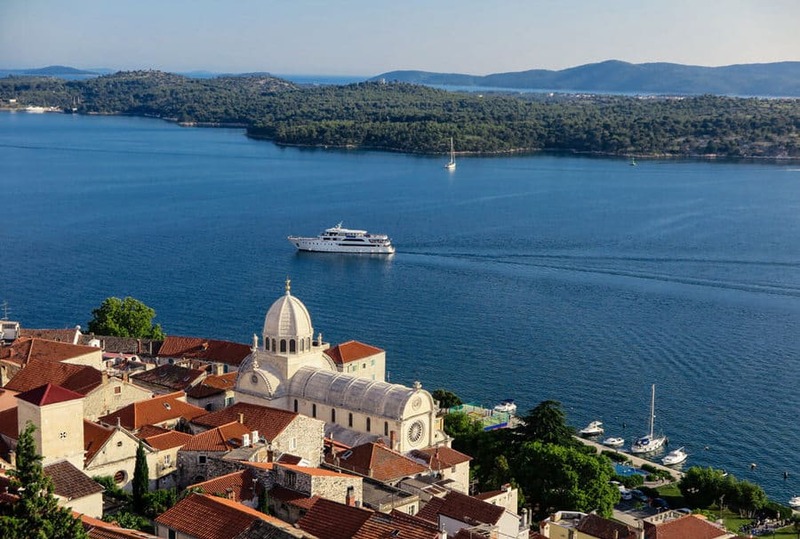 Tempting as it can be to zip off to destinations such as the nearby Pakleni Islands or other of Hvar’s hotspots, you should spend a couple of days in Hvar Town soaking up the relaxed atmosphere (OK, maybe with a late night party thrown in for good measure too). Click here for a map with all mentioned spots. 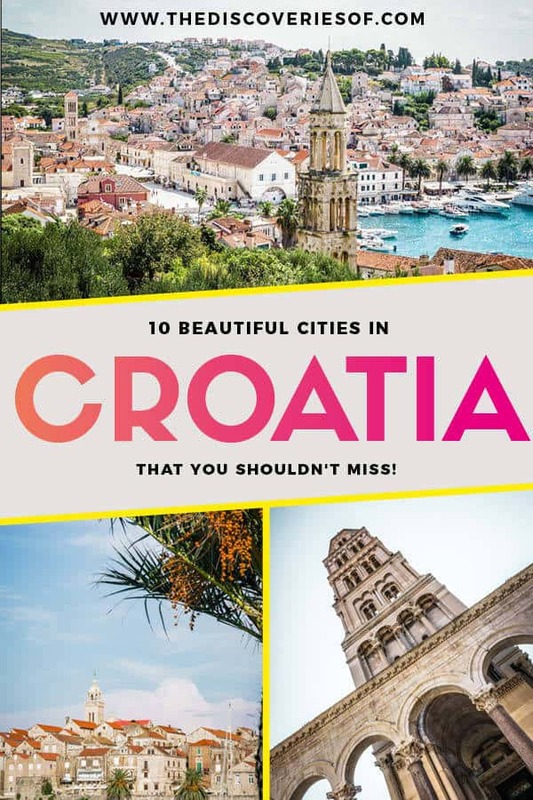 There we are – 10 beautiful towns and cities in Croatia to inspire your next trip. Looking for more? 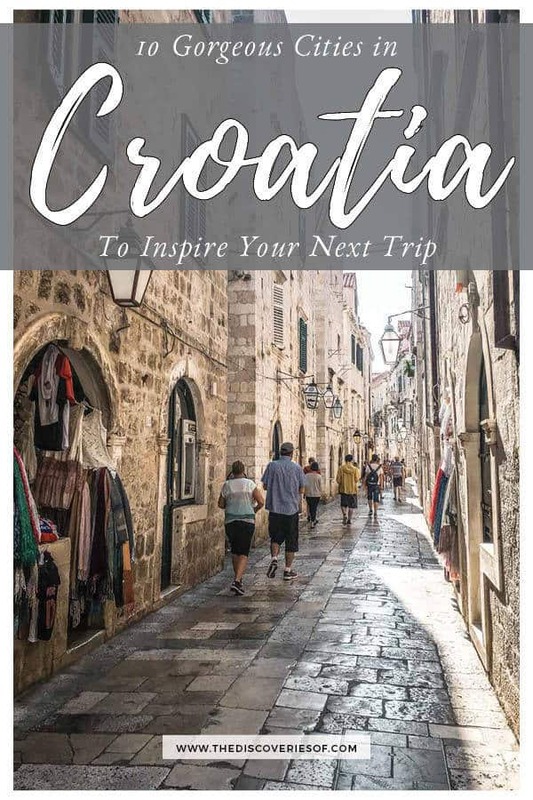 Check out this 10 day Croatia travel itinerary. Don’t forget your Lonely Planet!